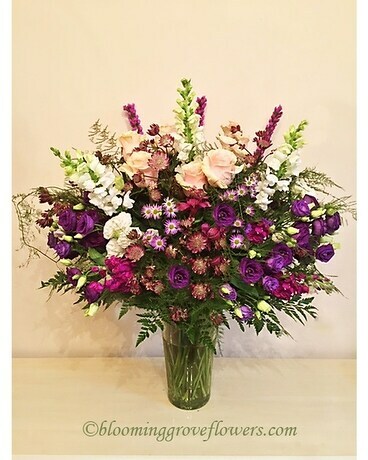 Sympathy arrangement featuring roses, lisianthus, stock, snapdragon, liatris, astrantia, fillers and greenery in tall glass vase. 30"H X 24"W. Certain flowers and container may be varied due to availability. Our designer will find substitution for the best presentation and value.